The Sheraton Melbourne is such a warm and comfortable venue to sit and sip away an afternoon. The classic High Tea is always enjoyable, but a theme makes it a little more interesting. 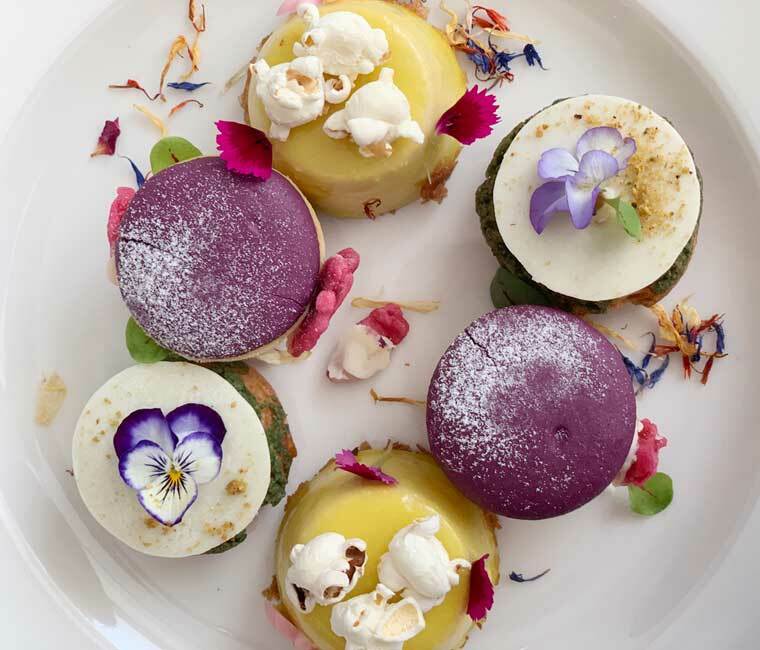 The Floral Tea offers all the classic High Tea elements but with a fun and girly twist. On this Saturday afternoon, women old and young are enjoying High Tea and celebrating birthdays, babies and more. The presentation of the three tiered stand was a visual treat. It was bright, colourful, adorned with flowers and begging to be tasted. The bottom tray was filled with delicious savouries. There was a smoke salmon, crème fraiche avocado and caviar toast, mini quiche filled with peas, kale, broccoli and chedder cheese and my favourite was the potato and Blue cheese croquette with fig aioli. It was full of flavour, light and a great addition to this High Tea service. Of course, there was the High Tea essential of finger sandwiches, the finger sandwich with roast chicken and apple remoulade. I especially enjoyed the choice of bread, which was unusual but delicious, the dark rye bread was delicious. The next tray was the sweets, which looked and tasted amazing. There was a French earl grey tea and passion fruit bavarois with mandarin glaze and Rose hip and lavender macarons. The colours of these two treats were so vivid and inviting. I would’ve liked a little more of the lavender flavour in the macaron, but it was still very enjoyable. The profiteroles filled with Jasmin tea flavoured cream topped with candied pistachio was my favourite sweet treat. It was light fluffy and the filling was beautifully flavoured, with everything balanced and with purposed. The top tier was the scones, which featured a traditional vanilla scone and a raspberry and poppy seed scone served with cream diplomat and raspberry jam. The scones are light and fluffy and broke into pieces with ease. While I enjoyed both, I would’ve liked a little more of the raspberry and poppy seed flavour to come through. There was a selection of five floral inspired teas, from tea brand T2. Guests can choose from Just Rose, French Earl Grey, Ruby Red Rosehip, China Jasmine and Strawberries and Cream. I chose the French Earl Grey, which complimented the High Tea flavours perfectly. Normally, I would not be a Early Grey tea drinker, but the floral and fruity notes made it a little sweeter and not overpowering. The ‘Flower Power’ cocktail was fruity and sweet. The vivid purple colour was a fun aspect as well. I enjoyed it and would recommend it, especially to those who enjoy sweet cocktails. The tea set was a beautiful floral set in shades of blues which I found a nice little addition to this themed High Tea. 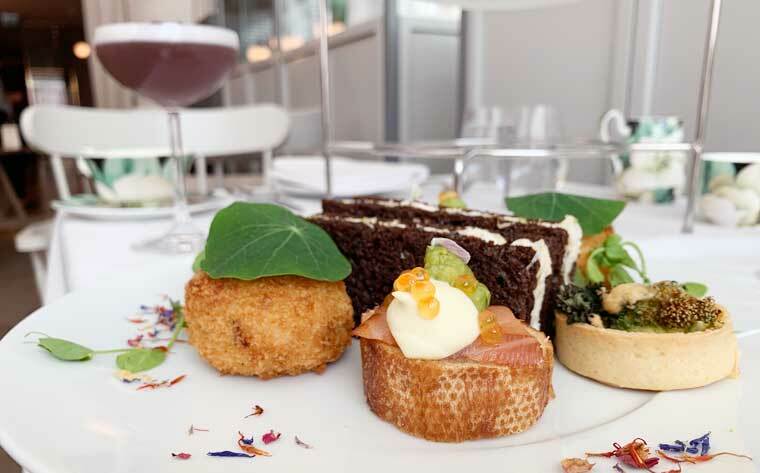 This was a great High Tea and the menu was a beautifully balanced with both High Tea classics and floral flavours. 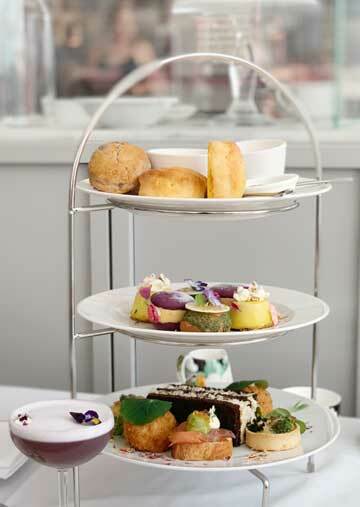 It is a lovely way to spend a few hours and a great twist to the classic High Tea. 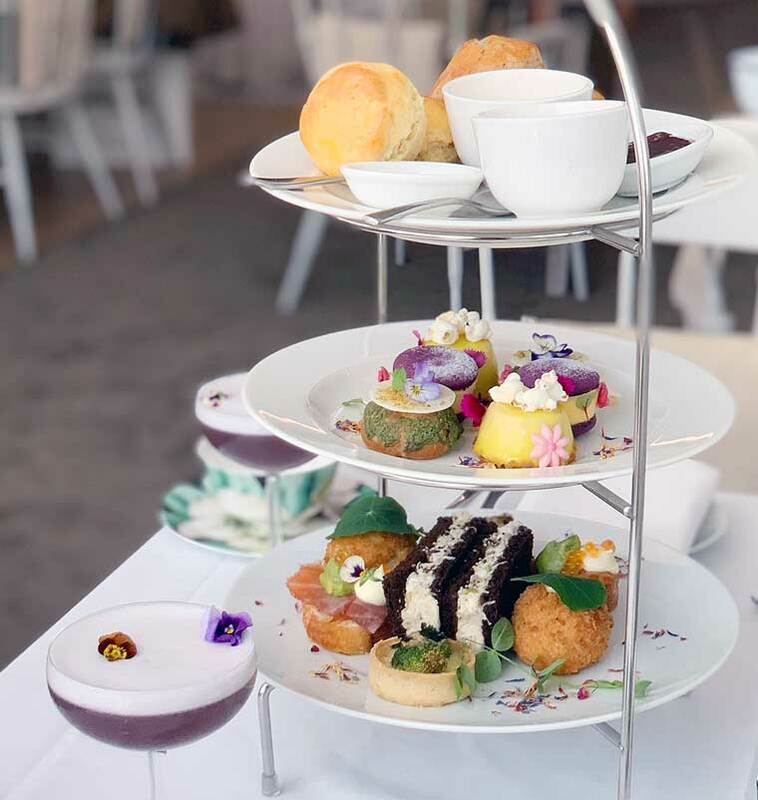 The Floral Tea runs from 16 – 30 March 2019. Includes a “Flower Power’” cocktail and unlimited T2 Teas & Coffees. Annelise is a recent Journalism graduate from Swinburne University of Technology. She is currently freelancing in Melbourne to gain more experience and build her portfolio. She enjoys writing lifestyle journalism and is always looking for a story to tell. 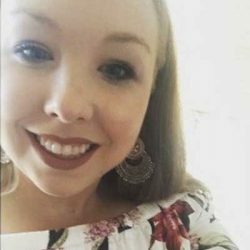 In her spare time she performs in local community theatre and recently had the honour of performing as part of a Broadway concert at Carnegie Hall.